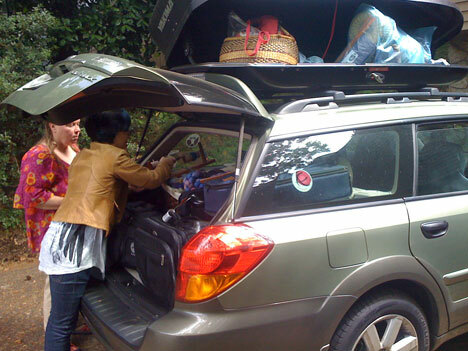 can you guess what we did just after we packed the car? no? if you thought that maybe we shut the hatch, climbed in, and drove away with the top locker open, you’re right. hahaha—we drove all the way to the bakery that way, ate lunch, and were driving away before someone politely beeped at us and pointed. sigh. these are your teachers, people . . .
but seriously, it was only because we were busy laughing and talking so much, i think, that we missed that one . . . at least, that’s my story and i’m sticking with it. omg—sock summit is so awesome. can i illustrate? 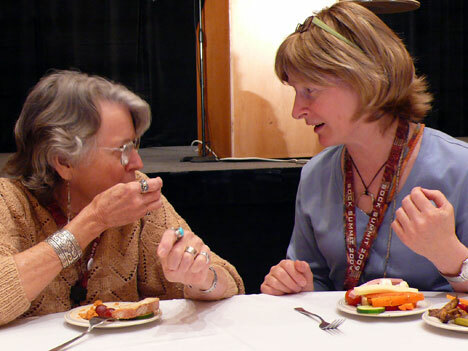 the beloved JMM (judith mackenzie mccuin) and denny. 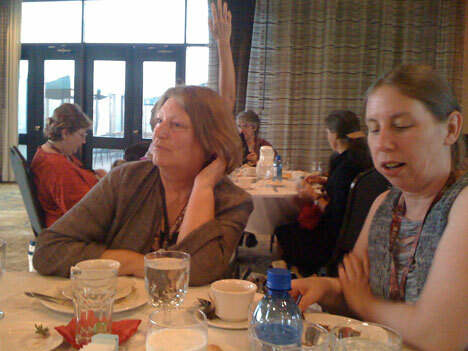 tina and stephanie also sat at my table, but they move around WAY too much to photograph properly. and there were so many more amazing teachers there—i tell you i was completely overcome with shyness (stop laughing—it happens). ok, i think my attack of stalker fan might have passed for the moment—thank you for your patience (are you fanning yourself too?) . . . now i can tell you a little bit more about the period between the teacher dinner and the opening ceremonies. 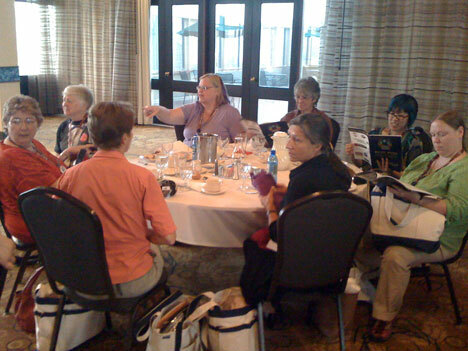 yesterday i had an absolutely lovely all-day class with this awesome group of sock knitters who are now sock designers. six hours is a long time to ask people to listen to me, but they did. and i think we all had fun, too (they’re still smiling, anyway . . .). 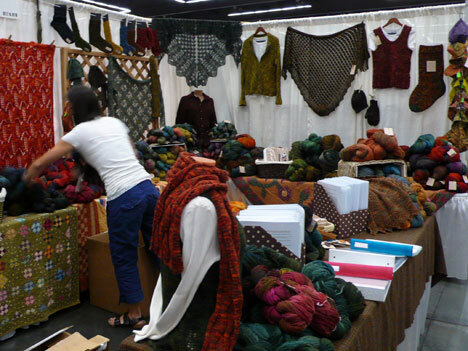 at lunchtime, i ran over to the market where chris, jocelyn, and christy were setting up the booth—it was already crammed with gorgeous yarn and samples—yum! it was an awesome moment—everyone was happy and noisy, but polite and lovely at the same time. just the way you’d want it to be. also along was kristine from curious creek fibers, whose yarn i worked with for the april 2009 woolgirl sock club package. 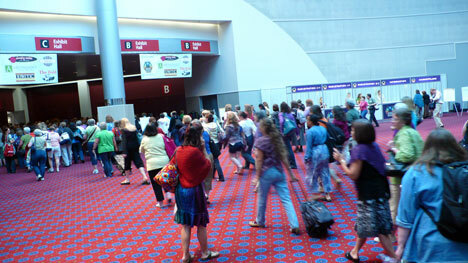 after dinner we headed right back to the convention center for the opening night ceremonies. 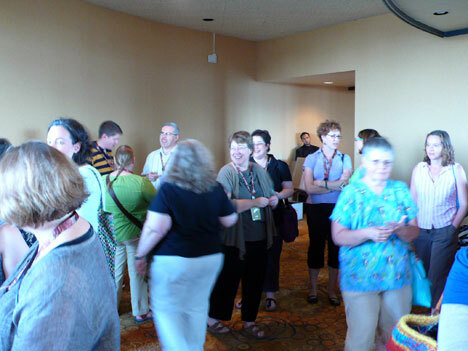 when we got there, the hall was filled with happy knitters. i made my way down to the teacher tables in front, an excellent location to get some more awesome people photos for you. cleverly disguising my head rush as a need to reach something in my bag, i quickly pushed my head between my knees until i felt less like passing out. phew. crisis averted. look at her—how pretty is that?? she’s completely adorable, right? her maplewing is simply stunning; it’s beautifully knit in a merino/silk blend. she even emailed to say she’s knitting another one—delightful, thank you kat! 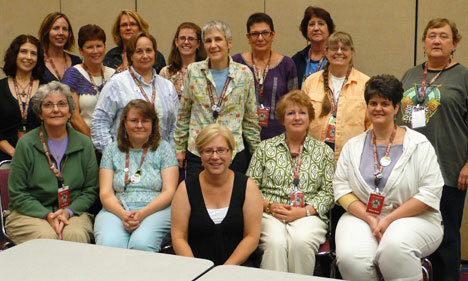 and introduce the teachers and sock summit staff (known here as the ST-2s). tina and stephanie gave a talk about the road to sock summit that was fascinating and funny all at once—just the way you’d think. it was a wonderful night and we were completely drained by the end of it (but not a moment sooner). 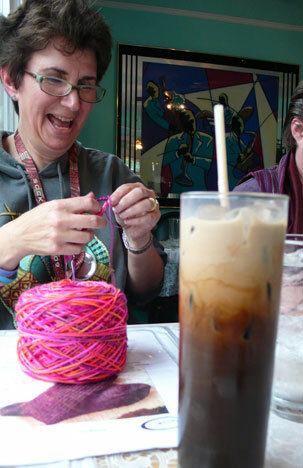 we trailed back to our hotel where cookie, janel and i knit for a bit before bed. this morning i met with another class—this time the lace knitters—for a few hours of learning to knit lace, which is one of my favorite things to talk about. 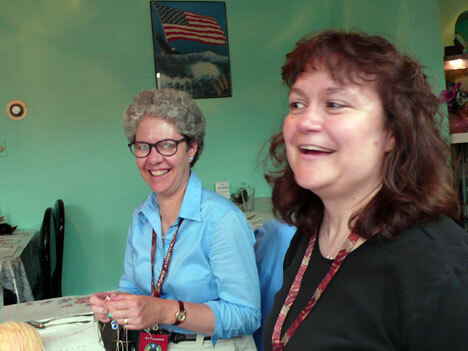 i had the honor of taking lunch with our friend karolyn who we are so lucky to have as a test knitter. 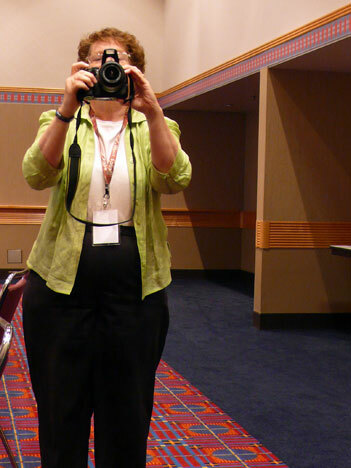 but i goofed big-time when i forgot to take her picture, sorry (she’s adorable). ok, now, i’ve stolen away form all the activity this afternoon to write a blog post and i’m afraid it’s time i got back to the booth to help out a little. hope you are enjoying these letters from the road—more later as i have news. 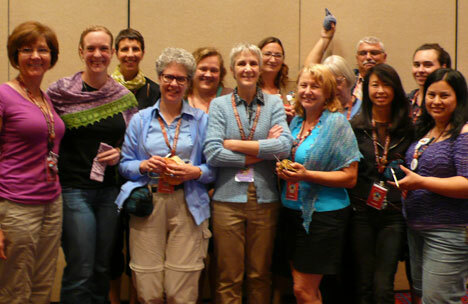 What a wonderful post about the amazing sock summit. 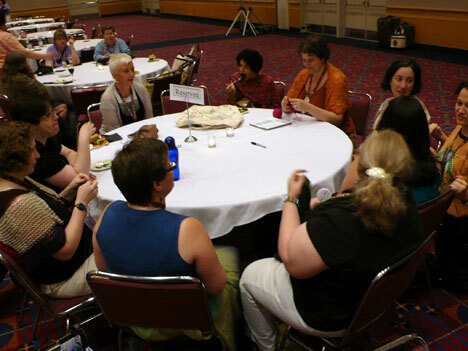 Seeing all the pics of knitting luminaries is just marvelous. Can’t wait for further updates. Enjoy! Looks great! I’d love to see something like the sock summit on the east coast! Wow, thank you for the Sock Summit update from someone who is living vicariously through blog posts! between your blog and Stephanie’s, I practically feel like I’m there. You sound like you’re having a great time. Thank you so much for the pictures. Keep it up! Thank you so much for sharing. I am green with envy. Keep sending in reports! I am so jealous! Thanks so much for the pictures! It’s HOF weekend back home in Canton – doesn’t seem to have as much “buzz” as some other years. I know two comments in two days is like stalking, but thank you so much for these details and pictures. 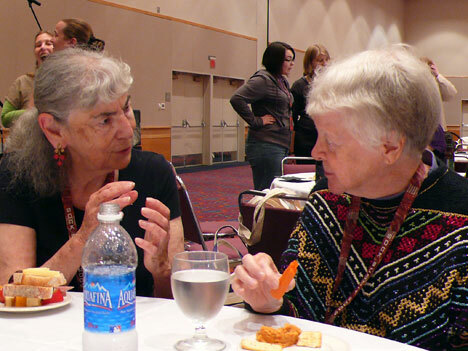 I so wanted to be there, to meet Barbara Walker – now I feel like I’ve seen her, at least, and you look like you’re still having a blast. swoon, rockin’ sock star, swoon! I’m swooning right along with you! Rock Sock On! This looks so totally awesome Anne. I am so envious!!! Tell Chris her booth looks amazing!! Post a pic of her and Jocelyn too!!! I wish I could click my heels three times and be there! Have vicarious fun for me!!! that is a whole lot of greatness packed into one post. 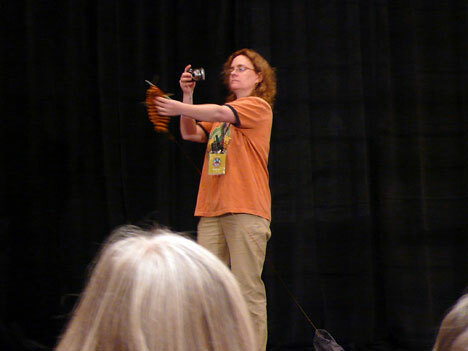 i especially love the shot of stephanie taking her obligatory sock-and-audience photo; she looks so serious about it! i expect i’ll see that shot from the other end in a few days… or weeks, if stephanie takes the vacation she so richly deserves! it’s so nice to look at the photos and see people i now recognize. chris, christy, and jocelyn are all dolls!! i lost count how many times chris and christy came by the clog booth to see us (well, the clogs). Oh Anne, what a perfectly wonderful post! It was just the thing that all we poor souls who aren’t there needed. Your post and photos made me feel I was RIGHT there and made me smile too. Thank you so much for sharing the love and excitement – continue to have fun and catch what rest you can. I know it’s too much fun to sleep but a gal’s got to stay alert to ensure not missing a thing!!! I’m really dissappointed to not have made it into one of your classes, but I must point out that you are one of the knitting celebrities who I’m in awe of. It’s been exciting to see to much creativity and wisdom gathered in one spot. I’ve been very good about not pestering or causing a scene by stalking any of you, but don’t be surprised if you end of being Kinneared. Cheers! What a delightful post, Anne! I don’t feel quit so left out from all of the Sock summit festivities and the pictures are wonderful. Thank you!! I laughed through the entire post! Thank you so much for keeping us “there” with you. 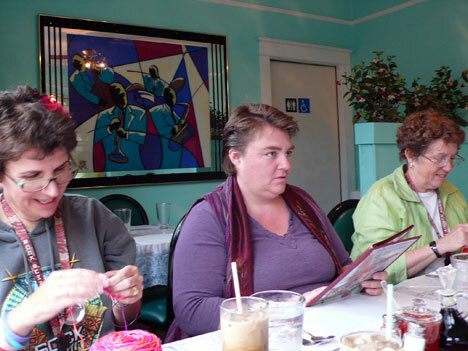 Wish I could have joined you, but someone has to represent knitting at home while all of you are gone. Hugs and best wishes for the rest of the weekend! WoW! A lot of fun going on there! 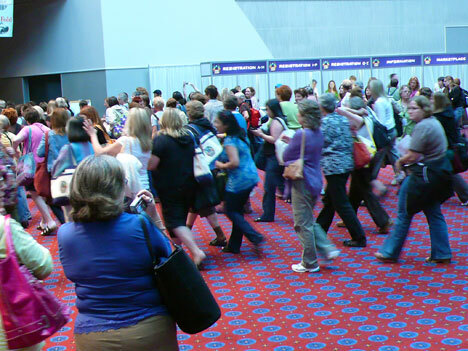 The shot of the crowd rushing the doors when the market opened, reminds me of Christmas and WalMart’s special sales! HAHAHA! Oh, thank you, thank you for all the wonderful pictures of sock summit. 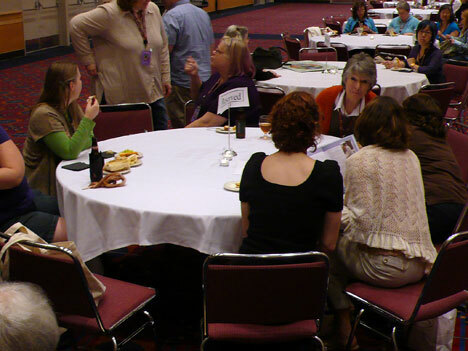 For those of us that did not get to attend, your blog is about the next best thing. Love it. Thanks, Anne, for your post. It looks as great as I thought it would be – thanks for all the pics and detail – almost like being there. your post was exactly what i was hoping for. an inside scoop of the summit. i so wanted to be there, especially there in your class. i have my fingers crossed for another time. enjoy the rest of the summit. i’m sure there will be lots of inspiration for new projects in the marketplace. Thanks for the info and especially for the photos. You must be very busy and we all appreciate you taking the time to share with us! (sighs). lucky girls. I wish I could attend one event like this one day. I wish I were there!!! What fun!! Thanks for the pics and the names, for all of us that “know” the names but not the faces. You’re doing a great job! And sounds like having a wonderful time. Next year maybe the east coast will be host. Wish I were there. Enjoy! Have a blast. wish I lived closer. Lucky, lucky you! Those are such great pictures. Enjoy the rest of SS and go set a world record! Anne – I’m so glad I got to meet you (that was me who interrupted you at breakfast outdoors at Starbucks just to say “thanks” for your great blog). 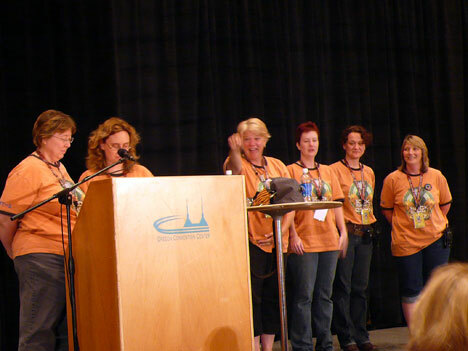 Sock Summit 2009 was truly a sensation and a dream come true. Look how many wonderful people were united in one single place. I’m so glad you got to share your knowledge with all those lucky students. 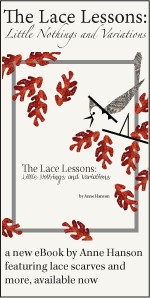 I can’t wait to see the Anne Hanson inspired patterns they’ll turn out. Hope you have safe travels home. It was really great to see you today…Let me know when you are heading back to the northwest! great pictures! Thanks for posting them! I had a great time in your begining lace class and am glad that I got to meet you in person! 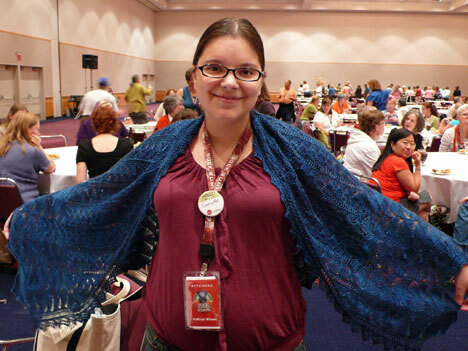 Hopefully I will be tackeling one of your shawls soon, I love your work! I love reading your teacher’s perspective of SS09 and seeing a few of my friends in there. 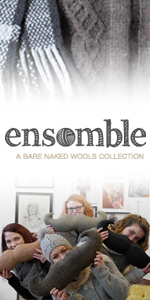 Reading this post was like looking at rare sightings of famous knitters…maybe a new discovery channel show? My goodness, all those celebrities in one place. If I was there, I would think I have died and went to heaven. It looked like you had a great time. By the way, I like your acorn socks and the color of that yarn. It is so unfortunate that I can’t put all those socks yarn to good use. Thank you for this post Anne! I needed an SS09 fix, and my pix are nowhere near as grand as yours. With your blog I was able to show my husband wonderful photos of all the people I have been telling him about since I got home. And you ARE right up there, as I tell him “Anne Hanson! You know, the lace!” I really enjoyed your lace class, and meeting you. Thanks again! I hope you didn’t lose anything from up there! It doesn’t sound like you lost anything that would be a detriment to your class, Phew! Summit looks like it was an awesome time all around (but we knew that, right?). I hope you got cleaned out at the marketplace!